Discover our 3 extraordinary destinations! Jump on board for a rich and unique experience to discover the 3 unmissable destinations in south-west France. Tick off fine eating, pleasant encounters and heritage from your holiday “to do” list! 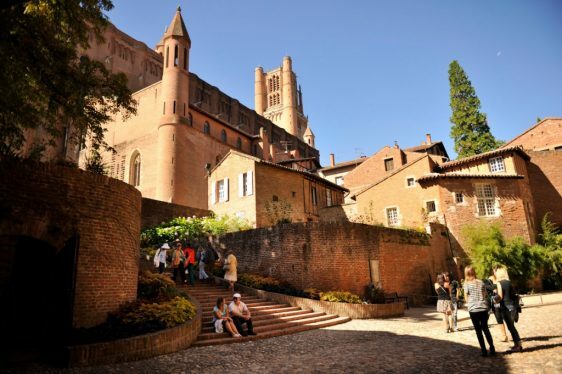 Stroll through the streets of one of the most Italian French cities ! The afternoon will be dedicated to the irresistible medieval bastide Cordes-sur-Ciel !A road train will take you up the hill to meet exceptional craftsmen and discover their work, passion and knowledge. A “crunchy and chocolatey” tasting will be the icing on this savoury day ! Arrival in Toulouse planned for 6.30pm. Complementary tasting of a “croquant” and chocolate at the Musée du Sucre ! Price does not include lunch or any personal purchases. Following the steps of the Cathars, discover the best preserved medieval citadel in Europe ! Embark on a journey through time to explore the largest fortified city in the Cathar Country. 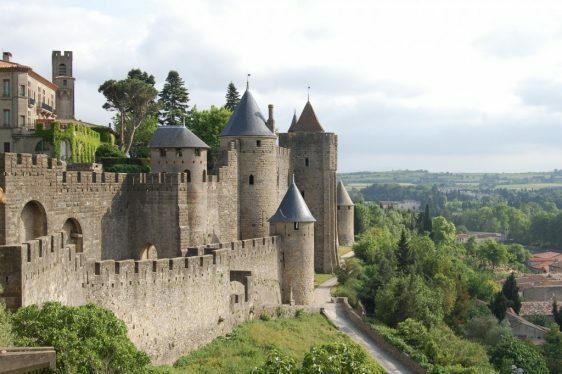 You would not believe all the secrets lurking in the shadows of the towers and walls of Carcassonne…! Your guide will take you through the Château Comtal, then you will enjoy a small apéritif before lunch time. In the afternoon, some free time will allow you to stroll through the paved streets of the Cité. Arrival in Toulouse planned for 5.30pm. A free small medieval aperitif ! Follow our adventures with Oc’tobus! Have a look at our leaflet!